If you’ve been following our Lead Gen Blog, you know that DMP advocates a multi-touch process and webinars, when done right, are very effective demand generation tactics. Our guest blogger is DMP partner Mike Agron, President & CEO of WebAttract. Below, he outlines 7 ways to best measure a webinar’s success. As you read it, we think you will find that his advice demonstrates the symbiotic relationship of webinars with other demand generation campaign touches, too. Having done hundreds of B2B webinars, I’m often asked, how should I measure the effectiveness of my webinars? How many net new deals were closed as a result of your webinar? Being able to demonstrate that you were able to close a deal is one of the easiest ways to justify your ROI. Simply divide the cost of your webinar by the number of deals you closed, and you can get a pretty good idea of business impact. But it’s not that easy to assume that people who attend your webinar are “sales ready.” We’ve had a few cases where clients had received a $1M sale that they tied directly to the webinar. But many people are there to learn something new. They are at the start of the “buying cycle.” As a recent study shows, 70% of your prospects are just looking and might need some additional nurturing before they are ready to buy. Did the webinar shorten your complex sales cycle? I remember a client telling us that a webinar attendee, who was previously on the fence and would not take action no matter how many phone conversations the sales manager had with her, was so impressed with the webinar’s case study that she asked for an immediate demo. You see, the webinar spoke to her pain point and it had a demonstrable outcome that aligned with her goals. The client converted this long time prospect into a customer two weeks after the webinar went live. Here’s an example of how educating and providing relevant information to current customers can motivate them to request a 1:1 with a sales consultant, that can lead to additional business. We were working with a large marketing services company whose “call to action” at the end of the webinar was to ask the audience if they’d like to have a 1:1 call with one of their sales consultants. In real time we captured about 20% of the 700 attendees names and contacts for setting up a follow up call. Did the webinar increase your sales pipeline? An effective webinar marketing strategy implemented the right way will attract a targeted audience that matches the demographic profile of your webinar’s value proposition. As they must opt-in to register and attend, you now have a reason and a means to reach out and start a conversation to see if there’s a fit between your capabilities and their needs. You should be tracking how many new conversations, your sales team is engaging in as a result of the webinar. Measure your cost-per-conversation before the webinar and compare it to the cost-per-conversation post-webinar. What is the lifetime value of the webinar? After the webinar, our clients are still attracting prospects and influencers to view their webinar on demand which is resulting in fresh, new sales leads. Our clients are extending their webinars’ shelf life through the use of social media, blogging and other marketing activities. One of my favorite cases is from an engineering information provider firm, who were able to not only attract 686 pre-qualified people to register for one of their webinars but also collect an additional 431 viewings in the first 45 days. 80% of the 431 additional viewings were considered fresh new sales leads. Did the webinar put you on the map as a viable provider? Webinars can really help a small emerging company punch up their weight and attract an audience. One of our earliest clients, a software company, was able to establish itself in the legal industry as having a very functional and competitive offering. Their thought leadership webinar resulted in an acceleration of downloads and trials that led to a 29% increase in sales within two months. Did you reach new markets and geographies with your webinar? Webinars also help to level the playing field as they allow you to reach across multiple time zones and geographies by inviting people to attend a webinar at time that is convenient for them. For example, one of our clients, a large standard settings firm, was able to reach 37 countries where they had no sales representation. 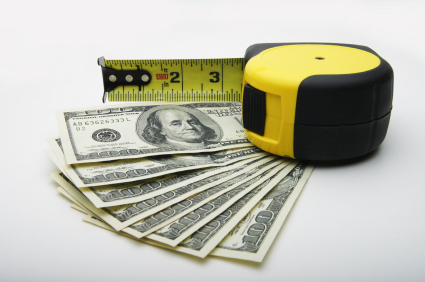 Now, do you still think that you should be placing all your emphasis on cost-per-lead? So when you would like to go beyond the CPL route to justify a webinar, share these criteria to demonstrate to management why a webinar should be one of your top content marketing tactics that are in your budget. For more information on the metrics you should be measuring when hosting and marketing a B2B demand generation webinar, view this Slideshare presentation. Then, download my free WebinarReady ebook where I show you the actions you must take “before”, “during” and “after” the webinar to achieve your desired outcomes.